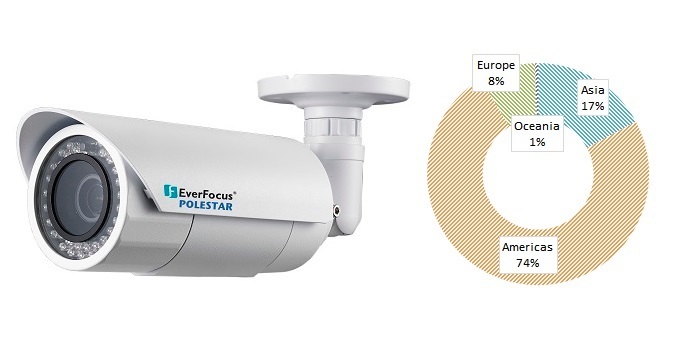 In the first of a series of 2018-19’s top 10 security products, we present the top 10 video surveillance camera models from 2018-19, based on click rate from asmag.com. 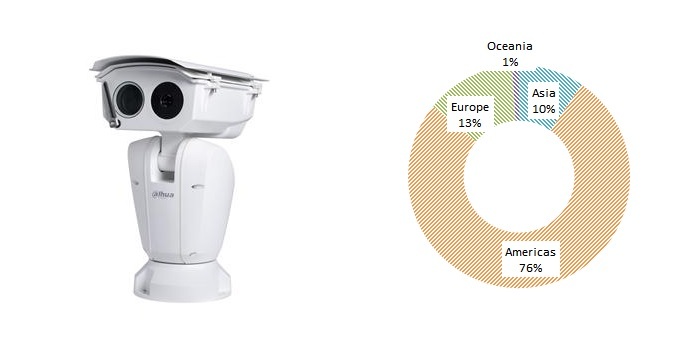 Viewing distribution charts are provided for each product to show from what regions each product is being viewed. Regions included in the charts are as follows: Asia, Americas, Europe and Oceania. 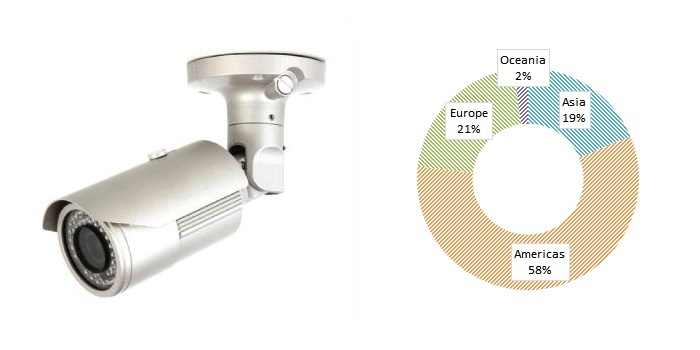 According to a report from IHS Markit, 2018saw the continuation of several long-term trends in the video surveillance market. This includes the move from standard-definition (SD) analog equipment to high-definition (HD) video surveillance and network equipment, aggressive price competition, further consolidation of the supply base and the increasing importance of China in the world market. 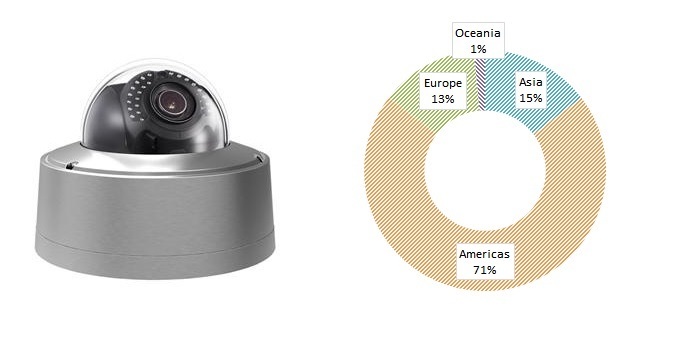 The top two players that topped the surveillance camera ranking this year are the two biggest Chinese manufacturers – HIkvision and Dahua which reflects the report’s findings. As the use for surveillance cameras grow more and more broad, products are increasingly packed filled with features that allow them to be deployed in extreme or low light conditions – not the traditional indoor security we saw years ago. While we saw a slight trend towards players perfecting the technology of seeing clear images in dark environments, manufacturers such as Hikvision Digital Technology and Axis launched corrosion proof and explosion proof products for hazardous environments. For more information on any of the top 10 products, click on the inquiry buttons below! 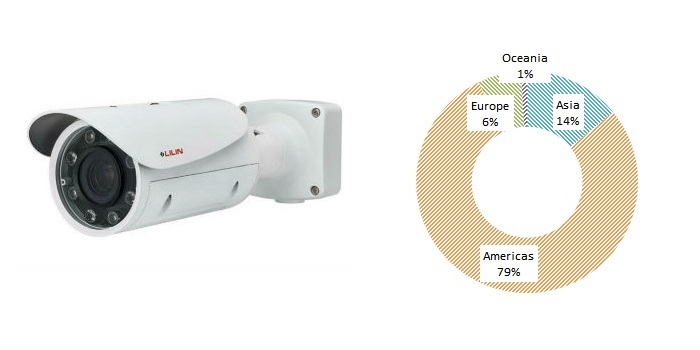 The Hikvision of the DarkFighter series was 2016's most looked at video surveillance camera. The 2-MP anti-corrosion dome camera is IP67 certified, suitable for waterproof and dustproof for wet and watery environments. The camera also features an IR range of approximately 10 to 30 meters, as well as support for WDR up to 120dB and 3D DNR. 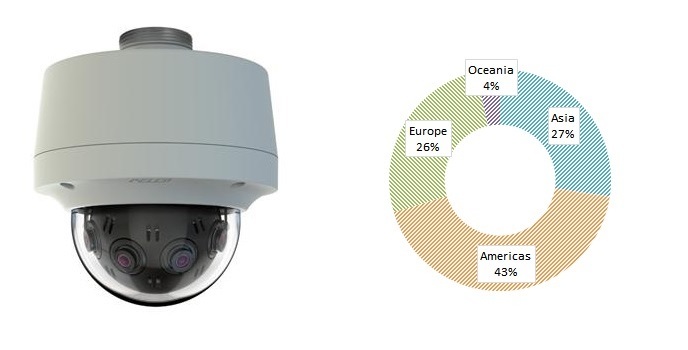 The Dahua thermal network hybrid PTZ camera provides an all-in-one solution for capturing long distance video surveillance for outdoor applications. 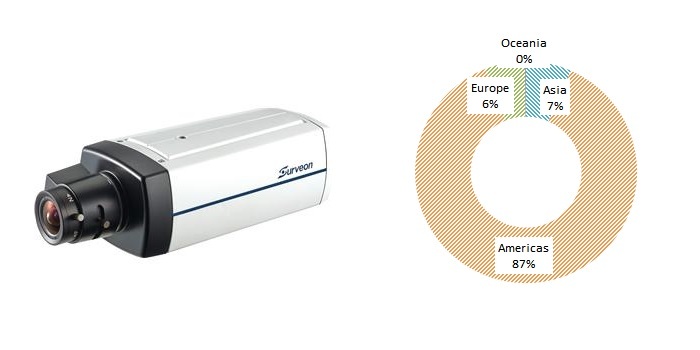 Together with thermal and Starlight technology, the camera is a great solution for dark, long range monitoring applications. 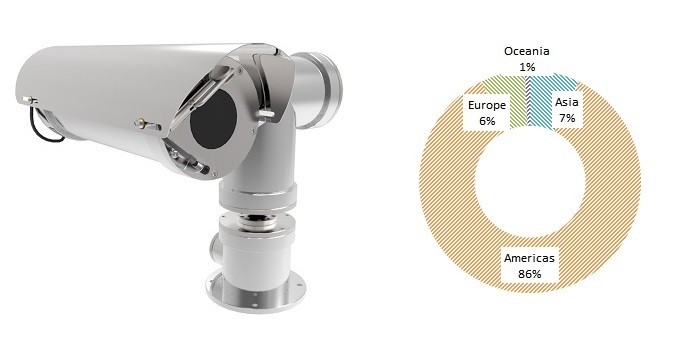 The series combines one thermal camera for monitoring in total darkness and one visible camera with Starlight feature and motorized lens for confirming details. The explosion-protected fixed camera provides superb image quality and color fidelity, and offers full HDTV 1080p resolution at 25/30 fps. With 18x optical zoom and autofocus, the camera is ideally suited for remote monitoring situations common in hazardous areas. The camera features an electro-polished 316L stainless steel housing certified for hazardous areas according to, among others, ATEX and IECEx. 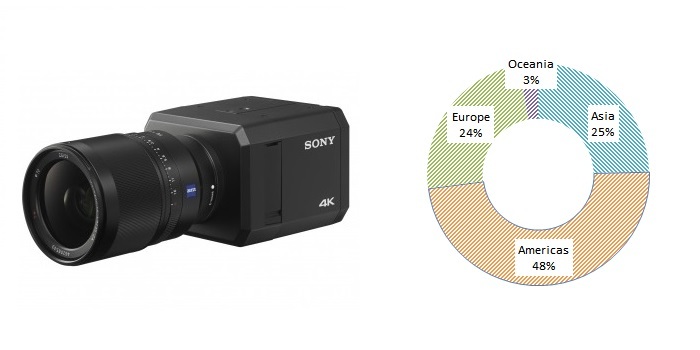 The Sony Electronics 4K network camera achieves its illumination by using its highly-sensitive 35 mm full-frame Exmor sensor, optimized E-mount lenses to maximize the performance of the sensor, and its signal processing engine. This enables the camera to capture crisp, clear 4K resolution at 30 fps color video with significantly less noise in extreme low-light conditions. Merit LILIN's is a 2-MP IP camera that integrates 20x or 20x optical auto focus lens to focus or zoom in on adjustments simply by clicking on the browser. The camera is IP66 certified, featuring a progressive scan CMOS sensor and a WDR with a 802.3at PoE or DC12V adapter. The 2 MP Full HD ultra low light camera from Everfocus features a 1/2.8” Sony progressive CMOS image sensor that is able to capture Full HD 1080p video, up to 60 fps. Other features include 3D noise reduction for low-light conditions (3DNR), extended IR range of up to 40 meters (131 feet) with 44 LEDs. 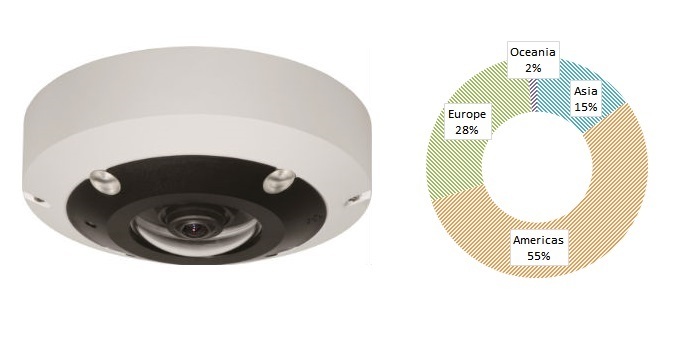 With the Optera panomersive experience, the Pelco Optera 12-MP panoramic IP camera can take in the whole panoramic scene while simultaneously drilling down into crisp detailed immersive views where the user can pan, tilt and zoom into areas of interest. The camera optimizes the images from each of the four sensors and then seamlessly stitches and blends them at the boundaries to present a natural, continuous panorama. DynaColor’s DynaMb series hyper mini fisheye IP camera features edge dewarping up to 4-MP resolution with quad codec support. The camera supports multiple and dynamic region of interest (ROI) windows, as well as software dewarping at 12 MP at 20 fps. The from is a dual stream IP camera that is equipped with a IMX-122 Sony CMOS sensor. The camera features motorized zoom, focus and P-iris, and includes a SDHC card slot.